Victoria Smalls is a triumph of human unity. She is Gullah, one of 14 siblings in the blended family of St. Helena Island’s first-ever biracial couple. She grew up speaking Gullah and working the land; today she is a director at Penn Center National Historic Landmark District, a successful artist and a mother raising the next generation. Victoria is a living part of history. Her own story began at an interesting time. The year was 1966. Dr. Martin Luther King, Jr. had just spoken at Penn Center, when another crucial meeting took place. 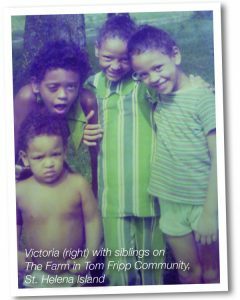 “My mother saw this tall, charismatic, beautifully dark-skinned man standing 6’6”,” says Victoria, one of four children born from their union. 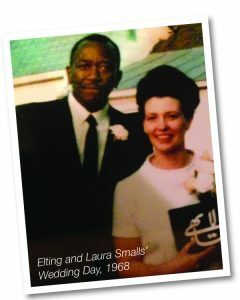 “They started officially courting, then decided to get married.” He was Gullah and a graduate of Penn Center with six kids from a previous marriage, all black; she lived in Michigan with four kids from her own previous marriage, all white. Both their spouses had passed away. Amazingly, both were also members of the Baha’i Faith, a world religion founded in Iran that emphasizes the unity of all humankind under one God. It was at a Baha’i retreat on the grounds of Penn Center that they met. So, this huge colorful family grew up in the fairly idyllic environment of the Sea Islands, living off the bounty of land and water. All 14 cleaned fish and worked the fields together. At harvest time, their father took them around delivering extra corn or sweet potatoes to the elders, as is the Gullah way. But blended families can be difficult even without the race issue, so how did they maintain harmony? In those days, Victoria spoke Gullah like all her friends and neighbors. She didn’t know it was another language; that was just the way they talked. But, by age nine, she began to notice that whenever they went into Beaufort—only seven miles away, yet somehow culturally distinct—when she opened her mouth, people laughed at her. It was golden advice to last a lifetime. 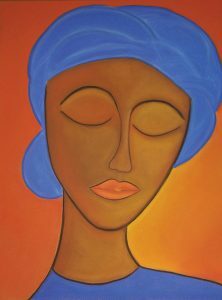 By the time she left for South Carolina State University, both the stutter and the rich Gullah accent were gone. Today, she speaks eloquently in a clear ringing voice that betrays no particular origin. However, this is a both a blessing and tragedy to Victoria. 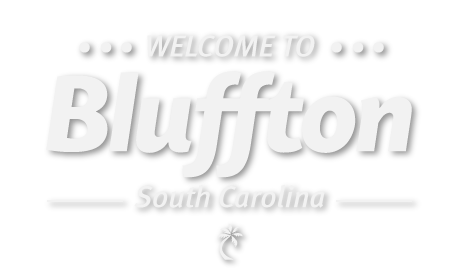 Although she lives on St. Helena, these days Victoria is liable to be seen around Bluffton. She has family here and feels a strong Gullah presence. 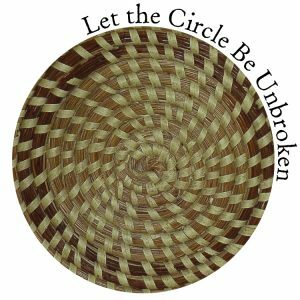 Moreover, since becoming involved with the vibrant art studio/gallery Bluffton Boundary, it has become her home away from home. She comes here to create, learn, and share her expressions with others. Victoria began using pastels since that’s what her mother worked in, and now she’s passingthe torch on to her own children. 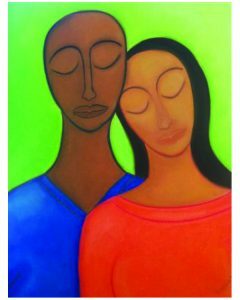 Her 24-year-old son is a fine artist and metalsmith in Charlotte, and her 11-year-old daughter also paints. For Victoria, losing her 17-year-old son was yet another reason creating became such a healing release. There is so much to her story, too much to cover here, plus what’s yet to be written. But anyone who’s interested can talk to her personally at Bluffton Boundary! She welcomes people just as she has been welcomed by them. On January 12, 2017, President Obama declared the Penn Center on St. Helena Island a National Monument recognizing its pivotal role during Reconstruction. This timeline highlights a few important dates in Penn Center’s legacy and its current mission “to promote and preserve the history and culture of the Sea Islands.” For more information, visit penncenter.com. 1862 • First school for freed slaves established on St. Helena Island, South Carolina; classes held at The Brick Church; 80 pupils enrolled. 1865-1877 • School supported by private charity comprised of primarily Quaker abolitionists in Philadelphia. 1901-1917 • Hampton Institute in Virginia asked to sponsor Penn School; Center’s new leadership modeled education on Hampton Tuskegee model. 1927 • Completion of bridge from town of Beaufort to Lady’s Island gave St. Helena access to the mainland. 1948 • Penn School ceased to function as a school; changed to a community agency; renamed Penn Community Services, Inc.
1950 • Penn School becomes Penn Center. 1960s • Sponsored and hosted interracial conferences on Civil Rights; Penn Center is a retreat site for Dr. Martin Luther King, Jr. and human rights activists. 1980s • Penn Center established Land Use and Environmental Education (LUEE) Program to promote sustainability and economic development; creation of Penn School for Preservation. 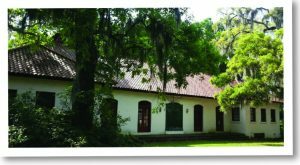 1990 • Penn Center placed on “most endangered historic places” list by the National Trust for Historic Preservation; mission focused on promoting and preserving Gullah cultural assets. 2006 • Congress created The Gullah Geechee Cultural Heritage Corridor along the coast from Florida to North Carolina. Article written by Michele Roldán-Shaw.